Kids will be kids. Trading cards! Woo! It doesn't matter if they're about tomatoes and apples, kale and carrots. This is just one of the things the Massachusetts Farm to School Project has figured out. They've also figured out how to make introducing local food to school cafeterias easy. 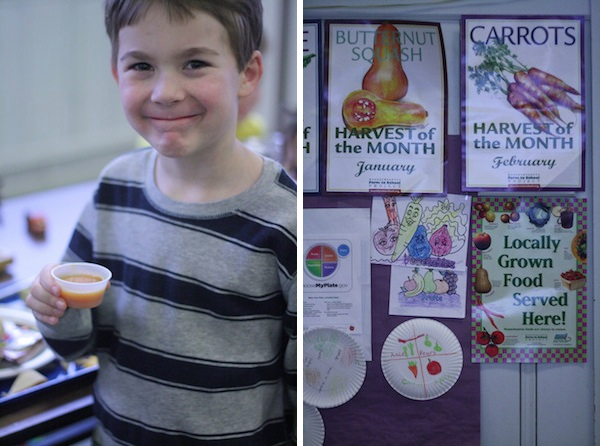 This year they piloted a program called Harvest of the Month, and over six hundred Massachusetts schools participated. The basic idea is this: the Massachusetts Farm to School Project does the legwork. They work with suppliers statewide—purveyors who already have contracts with individual schools and entire districts. 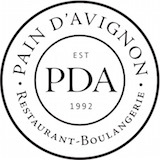 They connect these purveyors with farmers. Then they put together the roster—tomatoes in September, pears in October, apples in November, and so on—and all the publicity and materials the schools receive. Then all cafeteria directors have to do is sign up and come up with ways to serve the featured crop at least twice each month. It makes serving local food a no brainer. I learned about it through Wellfleet Elementary, where my nieces attend. It turns out the whole Nauset district participates, as do schools on the Vineyard, Nantucket, Barnstable, Sandwich, Fall River, Chatham, and Bourne. This year was the program's pilot year, and it ran six months. The response from food service directors has been overwhelmingly positive, so next year the creators at Mass Farm to School will offer a full calendar year. When I stopped by the Wellfleet cafeteria on Monday, the kids were trying a carrot soup. Fifty-five liked it, and fifty didn't try it. But there were no dislikes. If an item is popular enough—like kale chips in December—it goes on the menu. Pretty cool, huh? I can't tell you how happy this makes me! This is how change begins. Hooray!